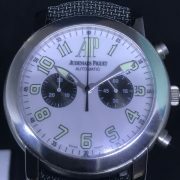 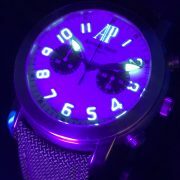 Impossible to find Audemars Piguet Jules Audemars 6th Day Double X Limited Edition Chronograph! 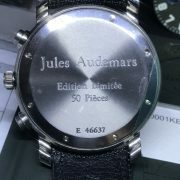 Only 50 pieces ever made and this is a complete set as you can see in the pictures. 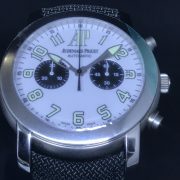 Best of all, it just received a Factory service in August and is under AP warranty. 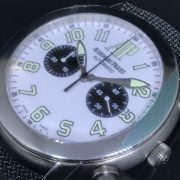 Still covered in AP protective stickers, the watch has not been worn since it’s return! 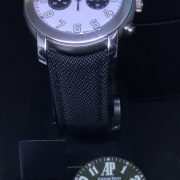 Even included is a brand new strap from AP and of course all of the original box and papers, extra Dial, service records, both straps…Everything you see in pictures! 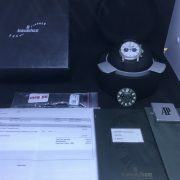 Super Rare and in Impeccable Condition! 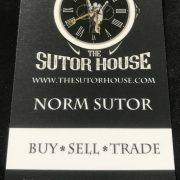 Others claim to have this piece – The Sutor House actually does have it on hand and ready to ship TODAY!! 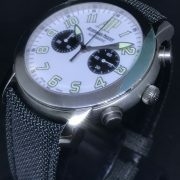 CONDITION: Pre-owned Excellent – watch is in fantastic condition…just serviced and brand new strap! 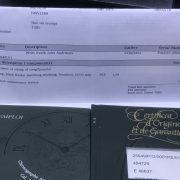 BOXES/PAPERS: Complete Set as shown and includes service papers! 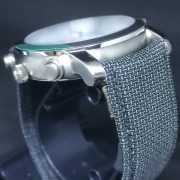 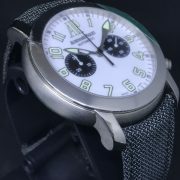 STRAP/BRACELET: – 2 – Original Audemars Piguet Green nylon tactical strap & additional Brand new Strap!